Chamomile tea is a mild herbal tea often used for its calming effects and for its ability to calm mild stomach upsets. 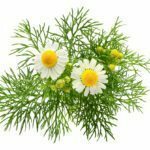 However, using chamomile tea for gardening may offer surprising benefits that most people haven’t considered. Here are three easy ways to use chamomile tea for gardening. Chamomile flowers are not only attractive additions to the garden, but useful ones too. The plants are often utilized in the making of tea that many people find quite calming. But did you know this tea can be used for other stuff in the garden? Below are some interesting uses of chamomile tea for plants. Prevention of damping off is probably the most common uses for chamomile tea in gardens. 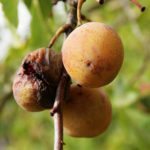 If you’re unfamiliar with the term, damping off is a common but extremely frustrating fungal disease that befalls seedlings. 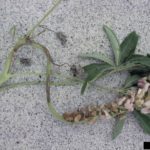 The tiny plants rarely survive, but instead collapse and die. To protect seedlings with chamomile tea, brew a weak solution of tea (The tea should be pale yellow). Mist the seedlings and the surface of the soil lightly three to four times per week, and then allow the seedlings to dry in the sunlight. Continue until the seedlings are sturdy enough to plant outdoors. Spray seedlings immediately if you notice a fuzzy white growth on the surface of the soil. Make a fresh batch of chamomile tea for plants every week or so. Chamomile tea contains tannins, which can promote seed germination by softening seed casings. Soaking seeds in chamomile tea will also help prevent damping off. 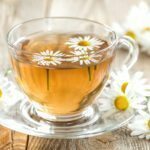 To use chamomile tea for seed germination, brew a cup or two of weak tea, then allow the tea to cool until it feels slightly warm to the touch. Place the water in a bowl, then add the seeds and leave them until they begin to swell – generally eight to 12 hours. Don’t leave the seeds longer than 24 hours because they may begin to rot. 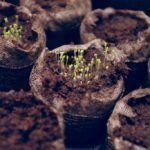 Chamomile tea seed germination works best for larger seeds with hard outer coats, such as corn, beans, peas, squashor nasturtiums. Smaller seeds generally don’t require soaking, and can be extremely difficult to handle when wet. Using chamomile tea in the garden as a natural insecticide works well too, and when used properly, chamomile tea for plants has a low toxicity and doesn’t present a huge risk for bees and other beneficial insects.